The most common and most affordable orthodontic treatment, traditional metal braces are what most people picture when they think of braces. Comprised of high-grade stainless steel, the metal braces offered at 360 Orthodontics are lighter, smaller and more powerful than past versions, allowing them to straighten teeth as efficiently and comfortably as possible. Whether you are a child, teen or adult, we can help get you that perfect smile. If you choose to straighten your teeth with 360 Orthodontics’ metal braces, your treatment will begin during your initial consultation. 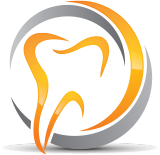 During this meeting, Dr. Partovi will examine your mouth, as well as take x-rays, dental impressions and measurements to identify problem areas and create a custom plan to address them. During the actual placement of your braces, Dr. Partovi will attach tiny metal brackets to the front of each of your teeth using a special dental cement. These brackets are connected by a wire, and the wire is connected to the brackets with elastic rings that come in a variety of colorful hues. Once your braces are placed, you will return to the office periodically so Dr. Partovi can assess how your teeth are moving. She will also tighten your braces from time to time, applying strategic pressure to straighten your teeth and align your jaw as needed. Affordable. Traditional braces tend to be the most affordable orthodontic option available. Customizable. Kids and teens can customize the elastic bands on their braces in a variety of colorful hues to reflect their unique personalities. The only potential downside of traditional metal braces is the fact that they are the most noticeable form of orthodontic treatment. As such, they aren’t always the right choice for individuals who want to straighten their teeth more discreetly. Once you become used to the feel of braces in your mouth, you will be able to carry on with your normal activities with only a few changes. The transition period can cause some soreness and tenderness. Rinsing your mouth with a solution of salt water should ease any discomfort. You can also use an over-the-counter pain reliever as needed. This transition period doesn’t last long; usually only one to two weeks. At our Beverly Hills office, we have a supply of special wax to use where metal is irritating your mouth. Ask for a supply at any time. Eating and drinking will have a few restrictions to ensure your teeth aren’t damaged during your treatment. There are certain foods to avoid that can potentially pull the braces out of place. Sticky foods can become stuck under the metal causing cavities. By avoiding these foods you will eliminate potential complications which can be time consuming and can even interfere with your orthodontic program. Brush your teeth after each meal, including snacks. It is helpful to use an electric toothbrush as it will do all the work for you. Floss once a day using special floss designed for those wearing braces. It is really important to spend the time to keep your teeth and gums healthy during treatment. Should you find a wire has been dislodged or a rubber band has broken, come into the office as soon as possible. If any part of the metal on the braces have come loose, bring the pieces with you. Metal braces are usually very strong but sports activities and eating can sometimes cause pieces to come loose. If you are not in Los Angeles when a mishap occurs, call our office and we will tell you what to do until you can come into the office. If you’re ready to give yourself, your child or your teen the gift of beautiful, straight and healthy teeth, we invite you to schedule a private consultation with Dr. Partovi today to discuss among the best metal braces Los Angeles has available. During that meeting, she will carefully evaluate your teeth, mouth and gums, before composing a custom treatment plan designed to create the megawatt smile you deserve. In the past, traditional metal braces were associated with pain. Fortunately, with technological advancements in the dental industry, that is no longer the case, and today our metal braces are more comfortable than ever. 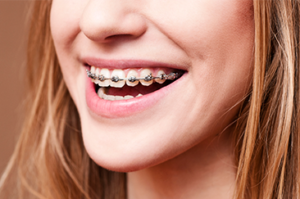 The initial placement of your metal braces is completely pain-free. After that, your teeth and jaw may feel slightly sore for about a week due to the gradual movement of your teeth. After each follow-up appointment to tighten your braces, you may also experience some discomfort for a few days, though it will be very easily managed with over-the-counter pain medications and by adopting a temporary soft food diet. A philanthropist at heart, Dr. Partovi strongly believes that financial difficulties should never prohibit a child, teen or adult from achieving a beautiful and healthy smile that boosts their confidence. As such, she offers traditional metal braces to the entire community at a very affordable price. Though most orthodontists charge more for metal braces, Dr. Partovi in Los Angeles is committed to making sure everyone who wants braces is able to get them and change their lives for the better, regardless of their financial situation.